The Injury and Violence Prevention Network is a group of national organizations that support injury and violence prevention policies at the national level and advocates for federal funding for injury and violence prevention. 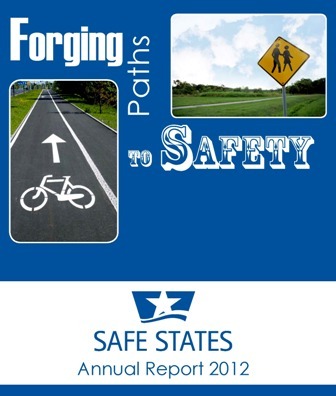 The Safe States Alliance convenes and leads the Network, including facilitating monthly calls for information sharing and coordinating and collaborating on joint strategies for advancing shared goals. Find out more about the Injury and Violence Prevention Network by downloading this fact sheet. For additional questions please contact the Safe States Alliance. With a new President moving into the White House next year, Safe States, in collaboration with members of the Injury and Violence Prevention Network, developed a Call to Action for the Trump Administration to secure early and strong support from our next President for federal injury and violence prevention programs. We encourage all injury and violence prevention professionals to help broaden dissemination of this comprehensive injury and violence prevention agenda for 2017 through your various communication channels. Not only does the transition document pave the way for President-elect Trump to take concrete action in support of injury and violence prevention policy, it is also a tool that can be utilized to increase awareness of federal injury and violence prevention programs broadly. For more information on the Injury and Violence Prevention Network, please contact the Safe States Alliance.